Barry Magid Wisdom and compassion flow from simplicity and clarity; from having nothing to prove and nothing to defend. Barry Magid is a psychoanalyst and Zen teacher whose life and work has been dedicated to the integration of Western psychoanalytic psychology with Zen Buddhist practice. After graduating from the University of Medicine and Dentistry of New Jersey in 1975, he completed his training in psychiatry and psychoanalysis in New York City at Roosevelt Hospital and The Postgraduate Center for Mental Health. During this time, he began sitting at The Zen Studies Society with Eido Shimano and later at the Zen Community of New York with Bernie Glassman. It was during this time he first met Charlotte Joko Beck, who came to New York to lead sesshin for a group of unaffiliated students at the Chelsea loft of Nora Safran. From that point on, he began traveling regularly to San Diego in order to formally study with Joko. In 1996, Charlotte Joko Beck gave him permission to establish The Ordinary Mind Zendo, where he became the founding teacher and in 1998, he received Dharma transmission, which gave him full authorization to teach Zen independently. In 2009, he named his first Dharma successor, Pat George, who teaches at The Zen Center of Philadelphia and in 2011, he gave denkai, a preliminary authorization to teach and offer the precepts, to Marc Poirier, Claire Slemmer, and Karen Terzano. He is member of the American Zen Teachers Association (AZTA) and also a founding member of Lay Zen Teachers Association (LZTA) which is dedicated to the practice, realization and transmission of the Dharma in the midst of lay life. 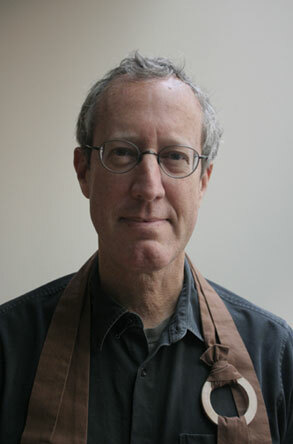 He is the author of Ordinary Mind: Exploring the Common Ground of Zen and Psychoanalysis (2002), Ending the Pursuit of Happiness (2008) and Nothing is Hidden: The Psychology of Zen Koans (2013). He also edited Father Louie: Photographs of Thomas Merton by Ralph Eugene Meatyard (1991) and Freud's Case Studies: Self Psychological Perspectives (1993). His psychoanalytic orientation integrates Self Psychology, the school founded by Heinz Kohut, with contemporary Relational psychoanalytic theory. He is on the faculty of The Mitchell Center for Relational Studies, The Institute for Contemporary Psychotherapy and has served on the board of The International Association for Relational Psychoanalysis and Psychotherapy (IARPP). In addition, for many years he pursued the craft of letterpress printing at the Center for Book Arts in New York City and published limited editions of hand printed books under his own imprint, Dim Gray Bar Press. Among the titles he published was a volume of the collected letters of William Carlos Williams and Charles Tomlinson (1992) which he co-edited with Hugh Witemeyer. Authors published by the press include Wendell Berry, Guy Davenport, Jim Harrison, Thomas Merton and Jonathan Williams.